CAN you hear the rumbling? It's very faint at the moment, but will get louder as it draws near. And, like a giant train or truck approaching, if you're not aware you may end up as roadkill. It's the next move in home loan interest rates, and a growing number of forecasters are predicting they will go up, rather than down. If the current strength in the share and property markets leads to increased confidence and rising inflation, you can bet that the Reserve Bank will be quick to raise rates from their current record low levels, to prevent things getting dangerously hot. Fortunately, it appears that borrowers still have some breathing room, with the earliest expectations for rate rises being later next year. However, now is the time to plan for a potential rise in your repayments. Firstly, understand what it's going to cost you. As a guide, a 1 percentage point rise in variable rates from current levels would add about $186 a month to the cost of a $300,000 mortgage. 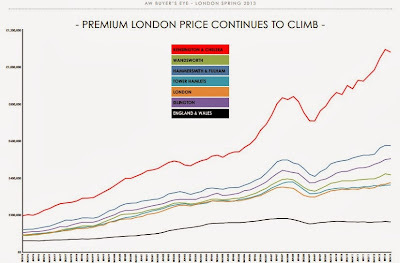 A 2 per cent rise- back to 2011 levels - would add $379 a month. 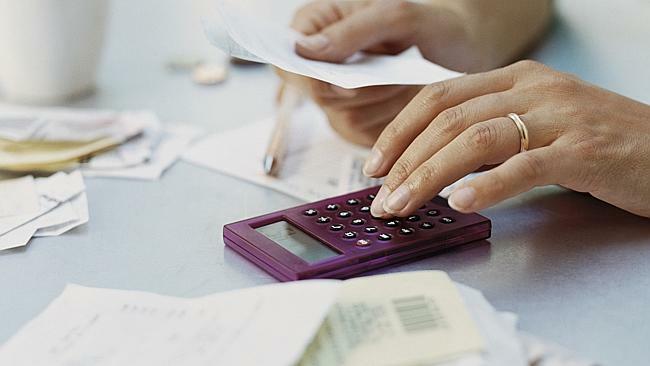 There are plenty of free online calculators to help your with your own personal calculations. Secondly, start looking for fat in your household budget that could be trimmed. Almost everyone can find savings if they separate their needs from their wants. You don't have to make the cuts now - just be ready if they're needed. Many borrowers have kept repayments at higher previous levels as rates have fallen. This has not only helped them pay down their mortgage faster, but also provides a ready-made buffer for when rates eventually rise. Finally, make sure your current home loan is the best you can get. Are there cheaper options available? Can you haggle with your lender to lower your repayments? A fixed-rate loan or split loan could be an option, but be mindful of the restrictions around fixing. The key is to be prepared and not be greedy. That light at the end of the tunnel that you think may promise more mortgage rate cuts is more likely to be a freight train heading your way, so don't become a squashed Skippy. The mortgage is usually the very last of your household debts that you should be paying extra off. That's because it's a percentages game, and one that every borrower should understand. Sure, if a mortgage is your only debt, kill it off quickly. But if you're like many Aussies and also have credit cards, store cards, car loans, personal loans, and possibly a short-term cash loan from a scary brute named Crusher, those other debts should all be wiped out first (particularly Crusher's). Put simply, a home loan is likely to be charging the lowest of all of your interest rates. That means all the other debts are costing you more, even though the biggest repayments go to the mortgage because of the loan's size. While a $10,000 credit card debt at 18 per cent interest will cost $1800 a year and a $200,000 mortgage at 5 per cent costs a much larger $10,000, paying off the card first means you are effectively earning a ``return'' on your money of 18 per cent on the card, versus just 5 per cent on the home loan. There also is a psychological benefit in wiping out the smaller debts first because it feels like you're getting on top of your finances. Once the smaller, expensive debts are paid off, you'll have more to pump into the mortgage. The minutes of the RBA's August 6 board meeting, at which it cut the cash rate to 2.5 per cent, contained unfamiliar language from the board about the possible timing of future rate decisions. "Members agreed that the bank should neither close off the possibility of reducing rates further, nor signal an imminent intention to reduce rates," the RBA minutes said. "The board would continue to examine the data over the months ahead to judge whether policy was appropriately configured. "It was possible the exchange rate would decline further over time, which would assist in rebalancing growth in the economy," the minutes said. "The minutes seem to have suggested that the RBA is thinking a little more deeply about its communication and how it communicates the outlook for policy," Mr Salter said. "Participants are unsure how to read this." ANZ has followed the other major banks and passed on the Reserve Bank's rate cut in full. The bank today slashed its standard variable rate to 5.88 per cent - making it the joint lowest with National Australia Bank. After the meeting of the bank's interest rate committee, ANZ Australia chief executive Phil Chronican said the decision was taken to pass on the RBA 0.25 per cent cut in full as a result of the economic conditions on our customers. "In making our decision this month, we took into account our cost of funding, our competitive positioning and the impact of economic conditions on our customers," he said. The decision comes after the RBA on Tuesday lowered the official cash rate to 2.5 per cent - its lowest level in 53 years in a bid to boost demand as the mining investment boom slows. Earlier this week, Westpac gave its customers a cut of 0.28 per cent in a bid to play catch-up with its rivals as it has the highest SVR. NAB and the Commonwealth cut rates by 0.25 per cent. ANZ has also lowered its lending rate for seal businesses by a similar amount. IN ENCOURAGING news for the property sector, mortgage enquiries spiked 6.9 per cent in the June quarter, the highest level of growth in three years, according to credit reporting agency Veda. The volume of inquiries increased from 1.9 per cent in the March quarter. "The fact that the June quarter recorded the largest volume of mortgage enquiries in three years suggests house price growth is likely to remain in positive territory in the near term, for those states and regions experiencing inquiry growth,'' Veda general manager of consumer risk Angus Luffman said. Mr Luffman said the level of interest in mortgages would translate to the market over the course of the next six to nine months. Potential Queensland property buyers were more cautious, however, with enquiries increasing by 1.6 per cent for the June quarter. "The results have reversed a negative trend of the preceding five quarters,'' Mr Luffman said. The volume of mortgage enquiries were at their highest in Western Australia (+15 per cent), New South Wales (+13 per cent), the Northern Territory (+10.3 per cent) and South Australia (+7.5 per cent), according to Veda's latest quarterly report. The positive trend in mortgages was balanced by a reduction in personal loan applications, which dropped from 10.3 per cent to 6.3 per cent nationally. Mr Luffman said the slowing demand for consumer credit could be attributed to a drop-off in vehicle sales. THE sharemarket has posted its strongest day in 20 months as the global economic outlook improves and interest rates remained on hold. 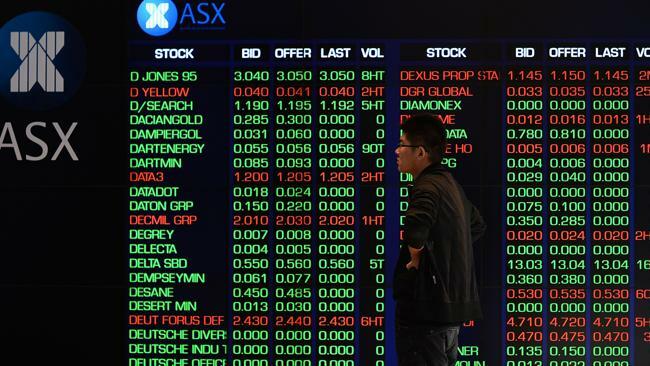 Shares gained about $39 billion in value on Tuesday, in the largest one-day rise for the ASX200 index since October 6, 2011. CMC Markets chief strategist Michael McCarthy said the market had regained all of Monday's losses, which was caused by worries about manufacturing in the world's major economies. 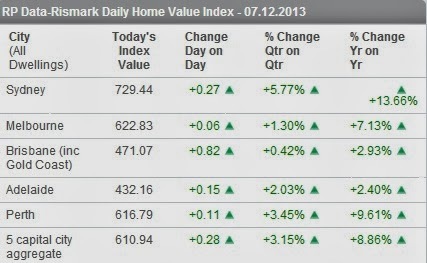 Data from the US and Europe overnight had painted a more optimistic picture. "It's been a big bounce back from yesterday's pre-emptive sell off,'' he said. "There's a better growth outlook for the globe and a better outlook from the Reserve Bank. The market added to its early gains when the Reserve Bank of Australia (RBA) left the cash rate steady, but said it still had scope for further rate cuts. Interest rates were left on hold at 2.75 per cent at the Reserve Bank's monthly board meeting. The steep fall in the Australian dollar since mid-April from $US1.05 to US92c took the pressure off the RBA to act straight away. But economists said homeowners can expect further rate cuts in the months ahead as the central bank retained its easing bias as the economy transitions away from the mining boom. 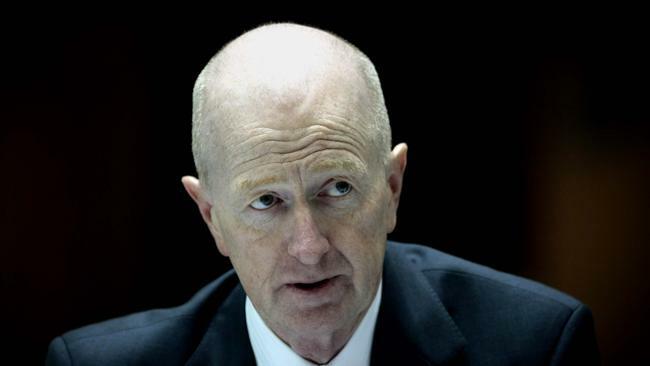 This RBA decision comes as the share market has clawed back most of yesterday's losses after the ASX 200 dropped 2 per cent on Monday on fears of a slowdown in China. But a slew of upbeat data from the US and Europe has fuelled optimism about the global outlook and overshadowed concerns about China. INTEREST rate cuts have failed to stem the number of mortgage defaults across Australia, with tourism and retirement postcodes topping the list of repayment blackspots. 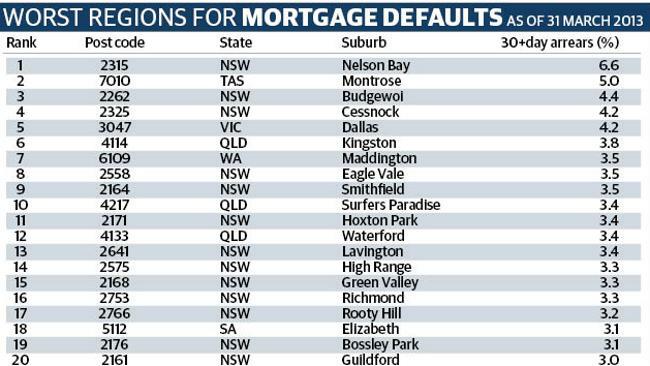 Seachange town Nelson Bay in New South Wales has regained the dubious title of the most mortgage delinquent region in Australia, according to Fitch Ratings. Between September 30, 2012 and March 31 this year, the proportion of mortgage holders more than 30 days behind on their repayments was almost 7 per cent. The Nelson Bay district includes the areas of Corlette, Fingal Bay, Nelson Bay and Shoal Bay and has been among the worst-performing postcodes since Fitch first published its report in 2007. Fitch blamed the high delinquency rate in Nelson Bay on "stagnation in the local housing market, which lead to an accumulation of arrears in the 90-plus day bucket". "Properties that are in arrears in Nelson Bay tend to be high-value, where the mortgage balance is on average almost three times the average loan balance in the area," says Fitch. Surfers Paradise, the epicentre of the struggling Gold Coast property market, showed a slight sign of improvement falling from third most delinquent postcode by value to tenth spot, with its arrears rate dropping from 4 to 3.4 per cent. Fitch notes that thirteen of the 20 worst-performing postcodes were in NSW, eight of which were in western and south-western Sydney. Montrose remains the hardest hit postcode by number of mortgages in arrears, with 36 out of 1000 homeowners in delinquency. Overall, the default rate across Australia increased to 1.45 per cent at end of March 2013, up from 1.2 per cent at the end of September. "Delinquencies across all six states have increased significantly since September," Fitch notes. Queensland remained the worst performing state for 30-day arrears. Delinquencies in Queensland increased 1.4 per cent at March 31, up 25 basis points from 1.2 per cent at September 30, but Fitch analyst, James Zanesi, said it had not worsened as much as other states. Despite the drop in interest rates, Mr Zanesi told The Courier-Mail that the results showed the Reserve Bank's decision to reduce the cash rate did not have a positive impact on mortgage performance across the nation. "Christmas spending and an increase to household expenses may have offset the benefits of the cuts,'' Mr Zanesi said. INTEREST Rates are tipped to stay on hold this week when the Reserve Bank board meets as the Australian dollar's descent below parity takes some of the pressure off struggling parts of the economy. But concerns about the global outlook will push the central bank to lower official interest rates at least three more times over the next 12 months from its current setting 2.75 per cent to a record low of 2 per cent, Westpac chief economist Bill Evans said. 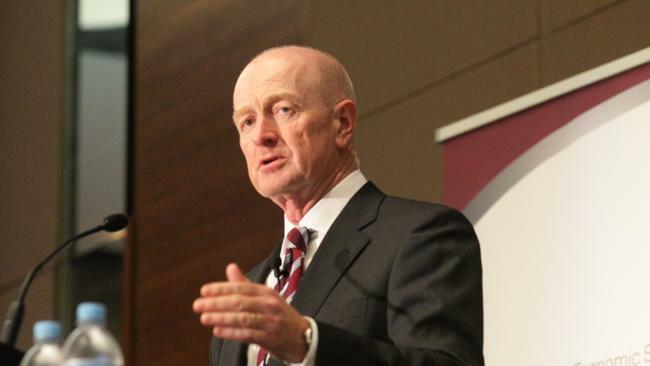 The country's most successful interest rate tipper in recent years said the medium term case for lower interest rates is clear even if the RBA board is likely to stay on the sidelines tomorrow (TUES). "We retain our position that the terminal cash rate will be 2 per cent, with single moves in August, late 2013 and early 2014," Mr Evans said. The futures markets are now pricing in a less than one-in-five chance of rate cut on Tuesday while a move in August rated as a 76 per cent probability. The Australian dollar's almost 7 per cent depreciation from US$1.03 to US95.7c since the RBA board meet last month is regarded by most economists to have helped rebalance the economy. HSBC chief economist Paul Bloxham said that while a bumpy ride is still a risk a lower Australian dollar will make the transition away from the mining boom smoother and keep the RBA on hold this month. If the currency stays below parity that may be the end of this rate cutting cycle, he said. "The depreciation of the Australian dollar supports local growth and shifts the balance of risks on inflation to the upside," Mr Bloxham warned. But AMP Capital chief economist Shane Oliver is urging the RBA to follow-up May's 0.25 per cent reduction with another cut this month. The Australian dollar has not dropped far enough yet and while it is a "close call" Mr Oliver said the central bank should act quickly. "Forward looking jobs indicators are soft and the toughish budget and Ford's decision to quit manufacturing seem to have added to the sense of gloom surrounding the Australian economy," he said. "As a result with low inflation providing plenty of scope to ease the RBA should act again on its easing bias and on balance we think it will." He is tipping the Australian dollar will drop back down to around US80c over the next few years as commodity prices weaken and the US economy strengthens. THE LOWEST mortgage rates in almost half a century will deliver homeowners an average saving of around $140 on their monthly repayments and they are being tipped to fall within 12 months as the mining slowdown starts to bite. The Reserve Bank is expected to keep interest rates on hold on Tuesday at 2.75 per cent but a highest low of 2 per cent is being forecast by some economists for mid next year. Such a sharp fall, if passed on by the banks in full, would deliver an average standard variable rate of 5.41 per cent - the lowest level since 1968. Reducing the average monthly mortgage repayment on a $300,000 loan from the current level of $1749 to $1609 per month. The most recent low during the global financial crisis was May-June 2009 when the SVR dropped to 5.75 per cent. 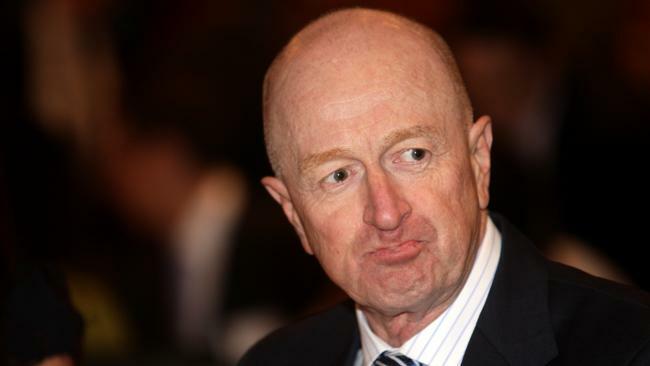 Westpac chief economist Bill Evans yesterday tipped no follow-up move from the RBA next week after the decision in May to by 0.25 per cent but that the deteriorating outlook will force the central bank to cut again in August. This will be followed by more cuts in last few months of this year and another in early 2014 will bring the official cash rate to a record low of 2 per cent by March next year, he said. The prospect of lower standard variable rates has also seen the big banks slash their 1-5 year rates in recent weeks as they move much more aggressively into the fixed home loan market. One of the country's biggest mortgage brokers AFG said demand for fixed loans particularly for a 3-year period have more than doubled in the past four months to historic highs. "It has risen from about 12-14 per cent of loans we write to around 30 per cent," AFG managing director Brett McKeon said. The company processed a record $3.2 billion in home loans during April - up 40 per cent on the same month last year. Mr McKeon said the recent round of official interest rate cuts has seen buyers shy away from fixed home loans as they did not want to miss out on future cuts. But he believes the current fixed rate offerings won't fall too much further even if official interest rates drop to 2 per cent. Financial comparison website RateCity spokesperson Michelle Hutchison said that while there are great deals available at the moment and buyers should shop around with even 2-year fixed rate offering varying considerable from a low of 4.79 per cent to a high of 6.09 per cent. "Fixed home loan rates are still falling and many are lower than variable rates, which is great news for borrowers who are considering fixing their home loan," she said. "But this could be a sign that variable rates will follow with more rate cuts this year. Nevertheless, it's still a good time to consider fixing your home loan if you're concerned about rising interest rates in the next few years. But there is still a big difference between the lowest and highest rates available so make sure you compare home loan rates to ensure your fixed rate is worthwhile."